Phoenix Driveway & Patio Cleaning Specialists - Cleaning Services, Driveways/Patios/Paths based in Rustington, West Sussex. Invoice history based on 605 reviews. Phoenix Driveways Sussex specializes in high and low pressure cleaning services to all types of surfaces. You will see a vast range of photos on this website but we can’t put them all on, so if you can’t see what you’re looking for give us a call and we can discuss it. We have to deal with all types of enquiries from large waterfront complexes to factories inside and out and small patio areas nothing is too big or too small for us to deal with. 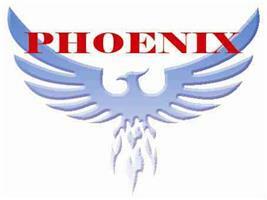 Phoenix Pressure Cleaning Services offer you professional help and advice to clean any hard surface. Please talk to us about your cleaning requirements without any obligation on. With our Phoenix cleaning equipment and tools we can clean all type of surfaces such as car parks, driveways, patio’s, slabs, decking and concrete and make them look as good as new again. Our company only delivers quality work and offers excellent value for money. View our driveway cleaning video and you will see why we are the best. Phoenix also use all the latest environmentally approved sealer's and we are fully approved contractors with all the manufactures such as Resiblock and Picscoat.